How Negative Thinking Fans the Flames of Anxiety – Kathy J. Marshack, Ph.D. Negative thoughts are like pouring gasoline on a smoldering fire. Normally, anxiety, like the smoldering fire, will die down as you complete the letting go process. 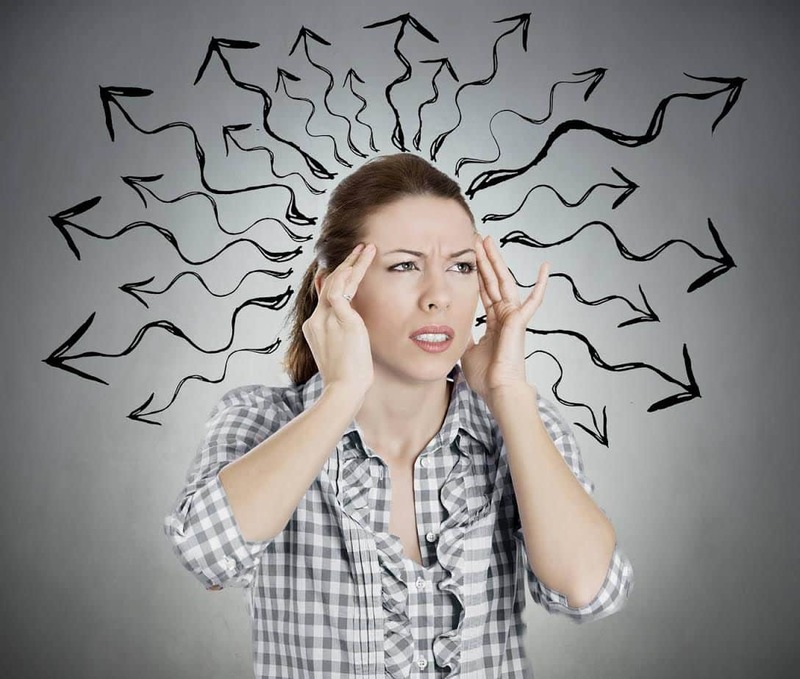 However, people who have developed anxiety disorders, such as panic attacks, phobias, or obsessive compulsions, have trouble processing things. In fact, their negative thoughts add fuel to their anxiety as they tend to jump to wrong conclusions or predict the worst case scenario. However, if you suffer from an anxiety disorder, be assured you can identify and correct these negative thoughts and beliefs. You can change the way you think, thereby changing the way you feel. You’ll finally be able to douse and extinguish the fear and anxiety you feel. How can you stop negative thoughts? Identify negative thoughts. Do you perceive situations as more dangerous than they really are? It may not be so easy to see negative patterns in yourself, so one strategy is to ask yourself what you’re thinking when you start feeling anxious. Often it helps to have a mental health professional assist you in identifying your specific anxieties and negative thought patterns. Challenge negative thoughts. Evaluate these anxiety-provoking thoughts by asking yourself: Is there real evidence for your frightening thoughts and predictions? Are they founded in unhelpful beliefs? What are the pros and cons of worrying or avoiding the thing I fear? Replace negative thoughts with realistic thoughts. Once you’ve identified the irrational or negative distortions in your anxious thoughts, replace them with new thoughts that are more realistic and positive, which is easier said than done. Often, negative thoughts are part of a lifelong pattern of thinking. It takes time and practice to break these habits. So don’t expect instant results, but be kind and patient with yourself. Anxiety disorders are not all treated the same, and it’s important to determine the specific problem before embarking on a course of treatment. Your doctor will conduct a careful diagnostic evaluation to determine whether your symptoms are due to an anxiety disorder, which anxiety disorder(s) you may have, and what coexisting conditions, perhaps alcoholism, may be present. The coexisting condition will need to be treated at the same time or before treating the anxiety disorder. If you live near Portland, OR/Vancouver, WA please contact my office and schedule an appointment.